recognized and registered with Medical Council of India. Council of India with five years experience. Medical Council of India with five years experience. 2) Should possess valid HVD license. standards and endurance test standards. the Guidelines framed by NCTE for the purpose. atleast 50% marks in aggregate. Political Science of which one must be History. Zoology with atleast 50% marks in aggregate. combination of above subjects and in aggregate. subject in all the three years. Officer ‘SC’ depending on the suitability of the candidates. eligible for age relaxation as per Government of India Orders. recruitment by giving necessary age relaxation as applicable. Eligible for Non Practicing Allowance (NPA) – 20% of Basic pay. at the time of Skill Test. the time of submission of on-line application. trade, at the time of Written test/Endurance test. the movement of the limbs or any form of cerebral palsy. in Services/Posts who suffer from not less than 40% of relevant disability. given special consideration as per rules, if they fulfill other conditions. registration certificate with Medical Council of India at the time of joining, if they selected. Indian Medical Council recognized MD. the written test scores and required number of candidates alone shall be called for Endurance test/Interview. qualification shall be the tie breaker. Hospital, at the time of Written Test/ Endurance Test. recurrence, shall be deemed to be a disqualification. 7.27 Kg (16 lbs): 24 ft (v) Throwing the cricket ball : 225 ft. (vi) Rope climbing (only hands) : 14 ft.
the five events given above. । ऐसेअयथ/ िज>ह?ने व=श बी.एड. कH यवसाय कH योयता अथवा डी.एड. अथवा व=श डे.एड. Only Central Teacher Eligibility Test (Paper II) pass candidates, having professional qualification of B.Ed. qualification of Special B.Ed. OR D.Ed. OR Special D.Ed. are not eligible to apply for these posts. of their career in the Organisation. in India as and when required. material fact(s), his/her candidature is liable to be rejected. Those applying for more than one post should apply separately for each post. final for those applying more than once for the same post. candidature of the General post. No need to apply in duplicate. 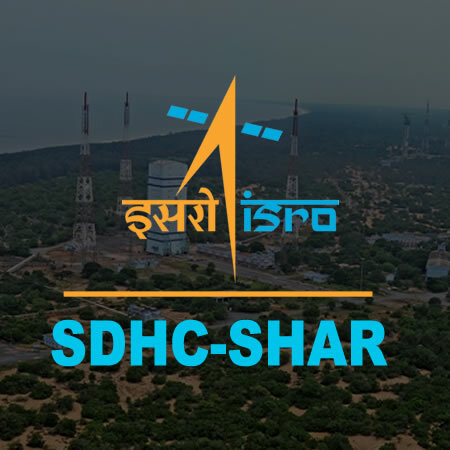 conditions may visit SDSC SHAR website and follow the application procedure as stated. Railway Ticket Number(s)/PNR Number(s) or Bus Ticket(s) etc. website http://www.shar.gov.in/ by clearly mentioning their Registration number and Date of birth. Written Test examination venue is Chennai only except for Medical Officer posts. No TA will be paid for attending written test. vacancies indicated above are provisional and may vary depending on the actual requirement. (1000 hours) and 08.06.2018 (1700 hours). applications on-line between 19.05.2018 (1000 hours) and 08.06.2018 (1700 hours). SRIHARIKOTA-524124, SPSR Nellore Dist, Andhra Pradesh. Join SDSC SHAR and shape your career. Share your knowledge with talented scientific community.